If you're concerned about the additional cost of a computer, saving work space, harsh environments for computers and training "computer" operators, then "cut the cord" from your computer with the APOLLO! 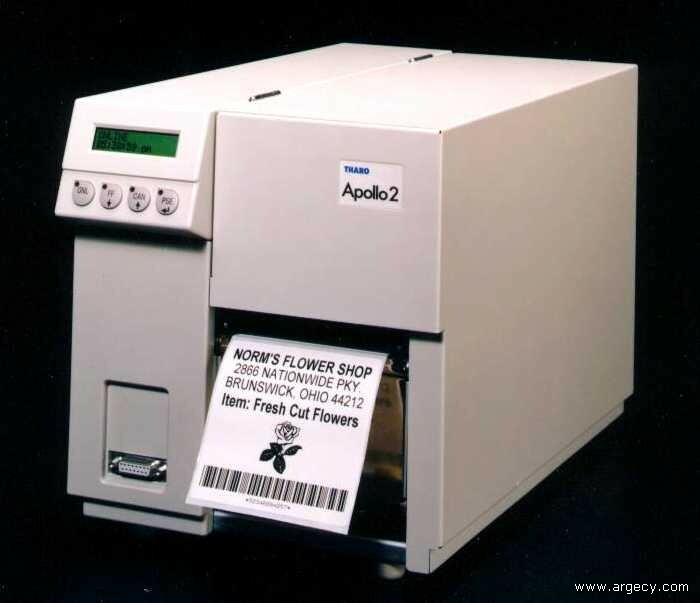 The new APOLLO from Tharo Systems is the first printer that lets you download a label format, or even graphics and a data base, to an optionally installed, industry-standard PCMCIA card, disconnect the printer from the PC and take it to a new location. Using the printer's front panel or a standard computer keyboard, you can input data, specify the number of labels to print, and merge database information into your format...all without the PC attached! The movable "see through" or reflective sensor is ideal for sensing any type of media, including tag stock with a black sensing mark, circles and ellipses. 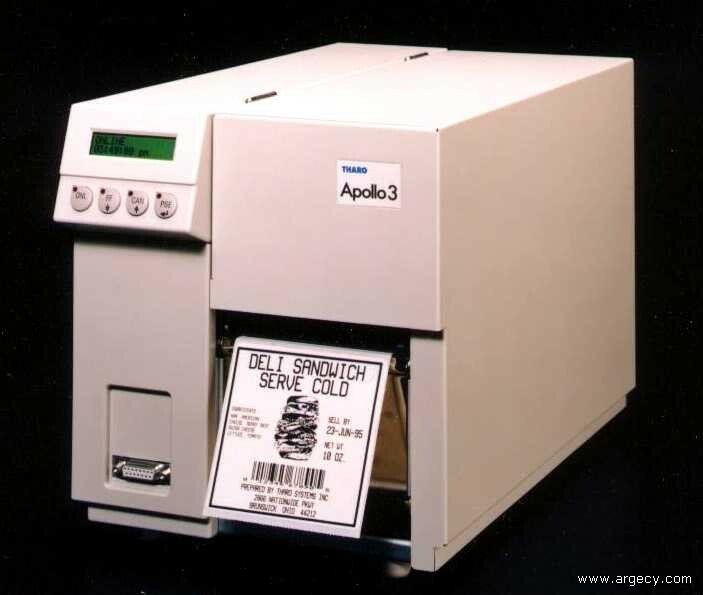 For systems integration APOLLO is one of the easiest to interface printers in the world. Serial up to 57,600 baud, Centronics parallel, and RS-485 networking interfaces are all built-in to the APOLLO. These interfaces, along with the fact the APOLLO programming language requires no control characters, allows interfacing with virtually any system including minis, mainframes and UNIX. Our patented mechanism for attaching media to the internal rewind is faster and easier than any internal rewind you've ever used! APOLLO was designed with fewer moving parts and long-term advantages. For example, the print head and other user serviceable parts are far less expensive to replace than comparable printers, so long term costs are lower. Have your technicians check out APOLLO...they will appreciate its' superior engineering! APOLLOis the result of a technical joint venture between Tharo Systems, Inc., of the United States and CAB of Karlsruhe, Germany, and our combined knowledge in engineering and manufacturing high quality labeling products.